Kona is a strong imposing male with a calm temperament. 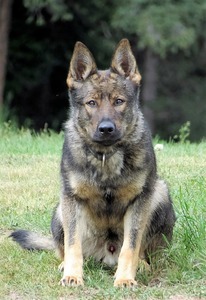 He is willing to please the handler and is easy to train. He has a good nose on him, will naturally find and pick up articles hidden in tall grass from a set of keys to pruning shears found during our walks. Good on unstable surfaces, good retrieve and prey drive. Strong head and bones. Kona carries a pedigree of Czech / DDR / West German working blood. 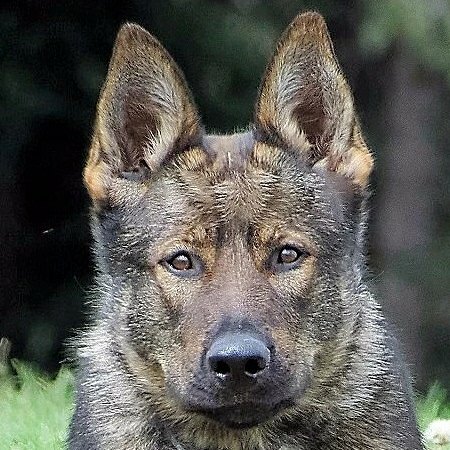 Some of the dog's in this pups pedigree are from the following working kennels; "B" litter ze Svobodného dvora, vom Grafental, Hronovsky pramen, z Vrtovske doliny.